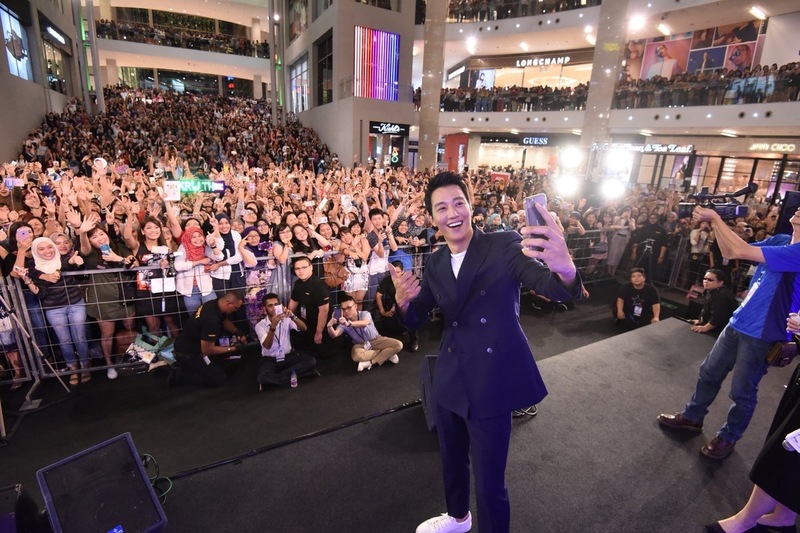 The dashing Kim Rae Won was greeted by more than 5,000 ardent fans from all across Malaysia. Some arrived at the venue as early as 9.30am to secure a good spot and show their support for their oppa “Hong Hong Hong,” as he is affectionately known. The actor’s visit to Kuala Lumpur follows the incredible success of his recently concluded hit drama series Doctors, which is the highest rated drama across all international channels in Malaysia. When it premiered earlier in June, the immense popularity of the drama propelled ONE HD to the top spot on Astro during its telecast slot, rating eight times more than the other Korean channels combined. With fans packing the venue to the brim, the man of the hour spared no effort in dazzling them all with his iconic megawatt smile. The meet-and-greet session was punctuated by deafening screams from fans as he shared more about his experiences filming the drama Doctors. To the delight of those present, six lucky fans were also selected to re-enact iconic scenes from Doctors onstage, including the memorable dance in the rain between Kim Rae Won and Park Shin Hye. The participants took on the challenge with gusto, prompting nonstop laughter from the audience and effusive praise from the star himself. The evening ended on a high note with Kim Rae Won signing exclusive event posters for fans, before taking his leave amidst continued cheers from the audience. Check out more HD photos here. Catch more of Kim Rae Won in Doctors, which will return for an encore telecast on ONE HD (Astro Ch 393) starting from 30 October, airing every Sunday at 12.45pm with two episodes back-to-back. For more information on the series, visit www.ONEtvasia.com/shows/doctors.